As if we weren’t already jealous enough of their lavish lifestyles in London, soon we’ll be watching with envy as the Made in Chelsea gang take on New York. However, you don’t have to be the heir to McVities or a Goldsmiths educated fashion blogger to gaze at the Manhattan skyline from a swanky rooftop bar. 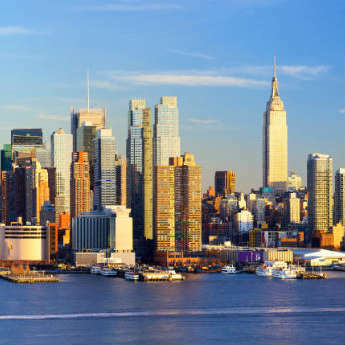 Here’s our pick of the best in New York City! 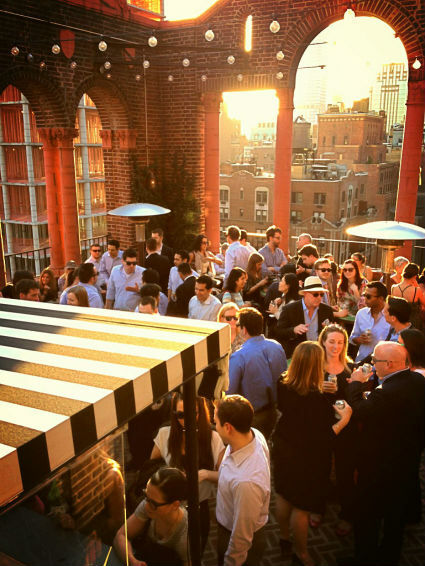 The Press Lounge, in the district of Hell’s Kitchen, is one of New York’s finest rooftop bars. The luxurious interior exudes elegance and the unobstructed views of the Hudson River and Manhattan’s skyline are more than worth getting your camera out for. With comfy chairs to lounge in during the day and a glorious pool to perch by in the evening, it’s no wonder this bar gets voted one of the best in the city time and time again! Do you fancy trying a Frozen Cactus Flower cocktail or a beverage that goes by the name of Perfect Manhattan? These are just two in a collection of fine cocktails served at The Skylark in New York’s Garment District. This rooftop bar prides itself on making cocktails with the freshest ingredients and serves up some fine food as well. So why not settle down on one of the comfy brown leather sofas or gaze up at the Empire State building from the steel coloured rooftop and enjoy a cocktail with a side of mac ‘n’ cheese cupcakes? The Rooftop Lounge at Pod 39 is a little more down to earth than most roof top bars in New York, attracting a budget traveller and mid-town party crowd. This rustic, shell of a rooftop is decorated in dusty terracotta brick archways and colourful tiled furniture which stands out from the crowd in its own unique hipster way. The garden fairy lights complement the beauty of the place and tequila based cocktails can be enjoyed against a backdrop view of the Empire State Building and Chrysler Building. On the 19th floor of the Roosevelt Hotel lies a little oasis of dazzling lights, serene greenery and a food and drink menu that is a firm favourite with the crowds of New York. 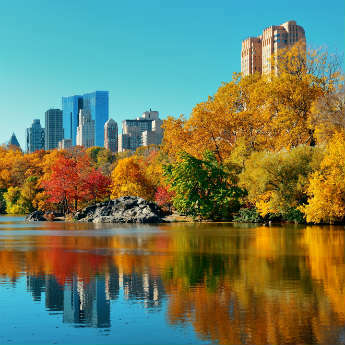 Sample a Mad Mojito or take on the Kentucky Sidecar in your tree-lined surroundings and you’ll soon see why New York is the city where dreams are made…or at least where amazing cocktails are made! Fancy exploring these rooftop bars for your self? 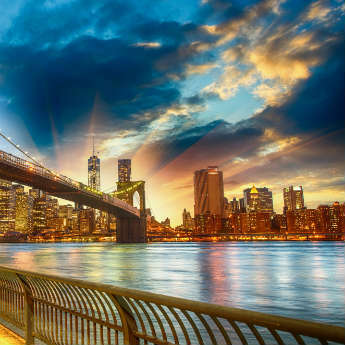 Compare the best deals to New York with icelolly!